The primary purpose of the Fellowship Commission is to facilitate regular, meaningful times of community-building activities that enhance congregational life and promote deeper intergeneration connections. In all of our activities, we want to assist the congregation with increasing and strengthening its connections to each other. We will strive to embrace newcomers, be nurturing and accessible, be intergenerational, and become more inclusive. The Fellowship Commission is responsible for church potlucks, meals for families with new babies or illness or other stressors, Friends & Flapjacks, bread/soup/fruit meals, church retreats, Krist Kindling, and the quarterly newsletter. This includes our congregational desire to contribute to the well-being of Lancaster City and the wider world. The Nurture Commission inspires and guides our well-attended Sunday school hour. Classes are offered for every age and stage of life. Our classes for children ages 2 through 12 use the Shine curriculum. Youth and adult classes use a range of discussion guides, including the quarterly Bible study guide from MennoMedia. Each quarter the Nurture Commission organizes an elective class which encourages inter-generational discussion on topics such as “What every church member should know about poverty” and “Living more with less.” The Nurture Commission also maintains the church library. The Property Commission is responsible for keeping up the church property to ensure that congregational activities have good meeting spaces. Our buildings are also used by various non profit groups in addition to hosting the community meal every Monday evening. Since the Property Commission is a small group of people, everyone who attends ECSMC is encouraged to help care for the church property by volunteering for odd jobs and taking on a task during the annual spring cleaning event. The Property Commission collaborates with the Creation Care Committee to find ways to care more for God’s creation by using fewer resources and minimizing storm water runoff. Providing information about the church budget and offering system- New attendees receive a packet with sections on stewardship, budgets and offering. Encouraging non-traditional and creative applications of practical stewardship- An example would be the various “sharing lists,” encouraging members to volunteer their items for use by others to discourage over-consumption and redundant purchases. Effectively meeting financial aid needs- A financial aid committee confers whenever a need is made known to pastoral staff. There are published guidelines as to how much aid is available, who may qualify for it, and other parameters. Compiling an effective and clear budget, investing idle cash assets prudently and adhering to proper accounting standards. Providing opportunities for stewardship education- We try to have at least one Sunday worship a year on a stewardship theme. The congregational Everence advocate promotes Everence-based stewardship seminars and similar material. 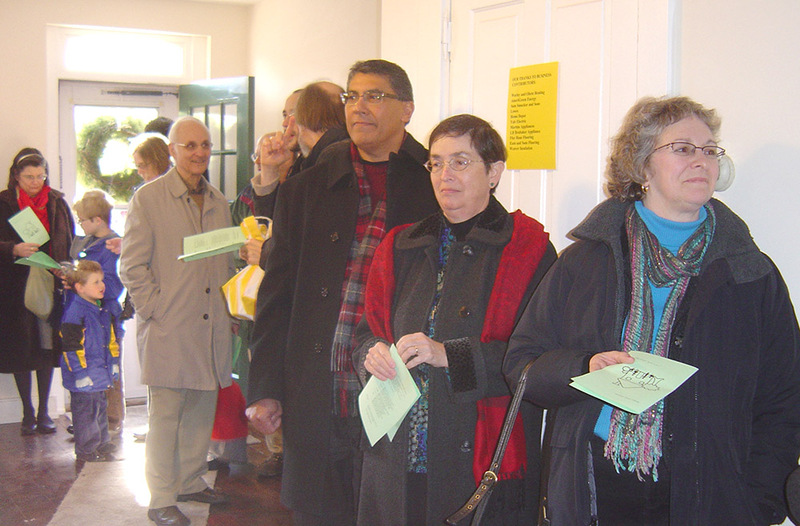 By incorporating a variety of participants, the Worship Commission plans meaningful, enriching services that gather East Chestnutters together on Sunday mornings as well as for other special events in the church calendar. These times of worship bring us together to meet God, provide spiritual support, and equip us to serve others.